How to identify venomous snakes in Florida | Florida Hikes! 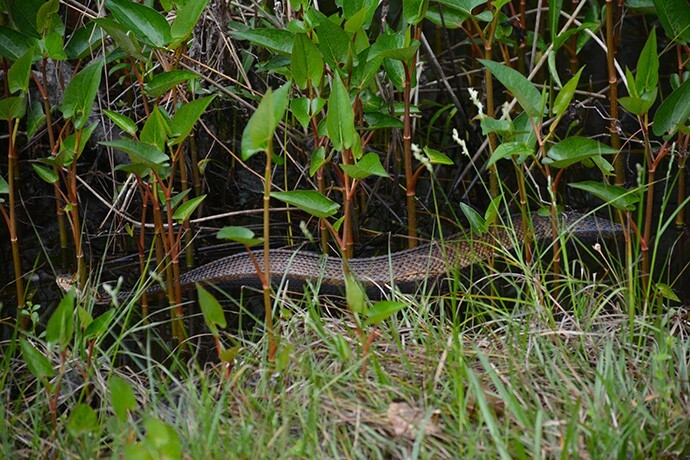 Cottonmouth (also called water moccasin), an aggressive snake that prefers swampy areas. Rattlesnake (diamondback, timber or canebreak, and pygmy), which can be found in upland or swampy areas. 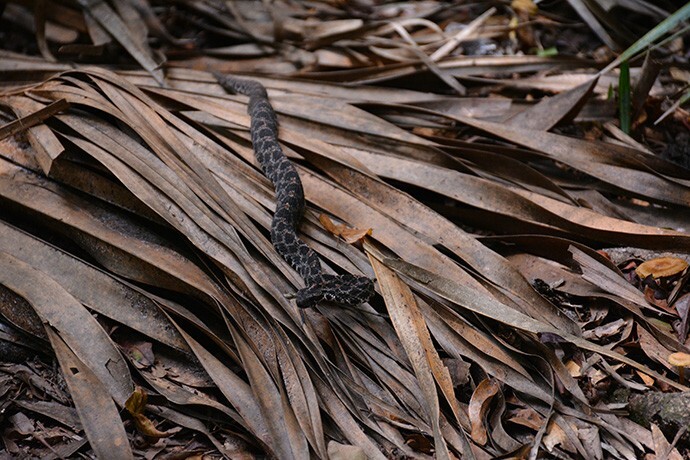 Pygmy rattlesnakes, which are generally very small, are the most commonly seen venomous snakes in Florida and cause the most snake bites, since children often pick them up. 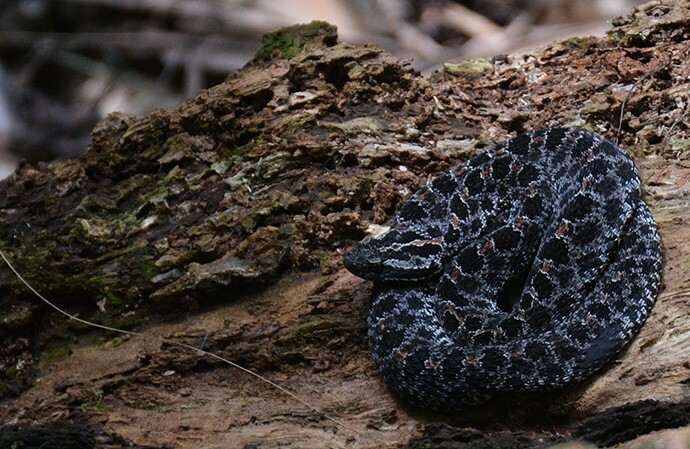 Pygmy rattlesnakes coil up when conserving warmth. They can be hard to spot when they aren’t moving. Southern copperhead, found in the northern forests of Florida. 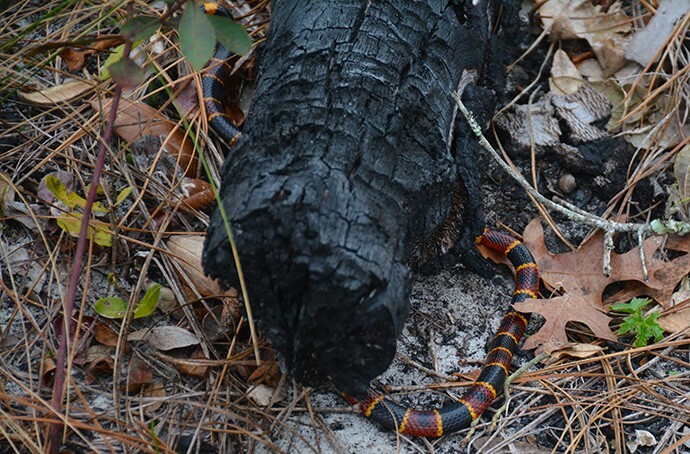 The coral snake is Florida’s deadliest venomous snake. Most snake bites occur because someone attempted to handle a snake or got within the snake’s “strike zone.” If you encounter a snake, treat it with respect. Give it a wide berth. NEVER PICK UP A SNAKE. If you are struck by a snake, call 911 immediately rather than attempt to treat it yourself. Here’s an excellent guide to identifying these snakes – as well as harmless ones – from the Florida Museum of Natural History. They sound like gray rat snakes, which are non-venomous. Take a look here – especially at the photo at the very bottom of the page – and see if they match. If not, you can use this website to look through other types of snakes in Florida.